Majority of the Pakistani fans are not following the IPL. Most of them feel that the Pakistani players have been hard done by the BCCI and the franchises and hence it is the fans duty to boycott the league altogether. Some of them genuinely are not interested in cricket that doesn't involve Pakistani players, while some just don't like the crash bang whallop feel of the IPL. It is not cricket they say. It is one big party. Some even call it a farce and believe that majority of the matches are fixed. 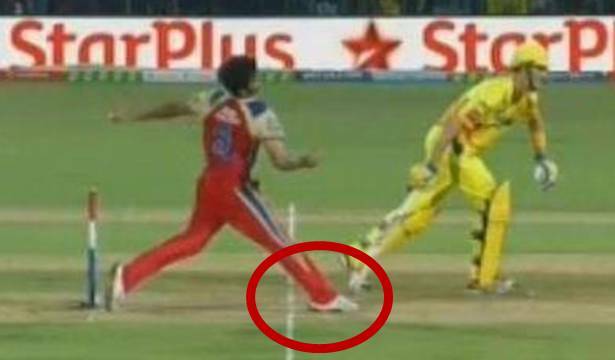 RP Singh's no ball the other day in RCB's match against CSK brought all those critics forward calling the match and the entire league fixed. I would really like to know what the odds were for that match before it started, after the Bangalore innings, and near the end of the CSK innings. Betting, including online betting in India, is quite common among cricket fans and it will be really interesting to study betting patterns for this particular match. But I tell you what. Even though there are no Pakistanis playing the IPL and even though it might be all fixed, I absolutely love the IPL. The matches are exciting, the competition is intense, the adrenaline is pumping all the time, the crowd is into it every single second, there are sixes, fours, wickets, screaming fans, team owners either glowing with confidence of a victory or looking stressed when their team is losing grasp of the match... and so much more. Where else will you find two Delhi team mates fighting it out for Kolkata and Bangalore getting into a heated argument only to be separated by a common Delhi team mate? Gambhir and Kohli would have thrown a punch or three at each other if it was not for Rajat Bhatia's interference. And I would have absolutely loved it. Eoin Morgan would have enjoyed it too. Where else will you find the big screen on the ground flash "From Sir with Love" when Ravindra Jadeja sends the ball sailing into the crowds. 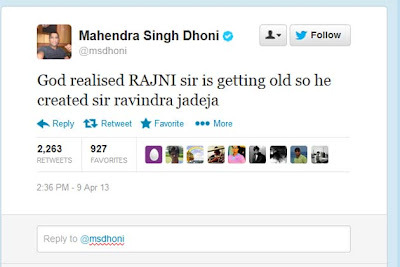 The tag of 'Sir' has spread like wildfire during the IPL. Something that was being used to rib Jadeja by the Twitterati and Cricket Bloggers has now become a trend among the cricketers and the commentators. 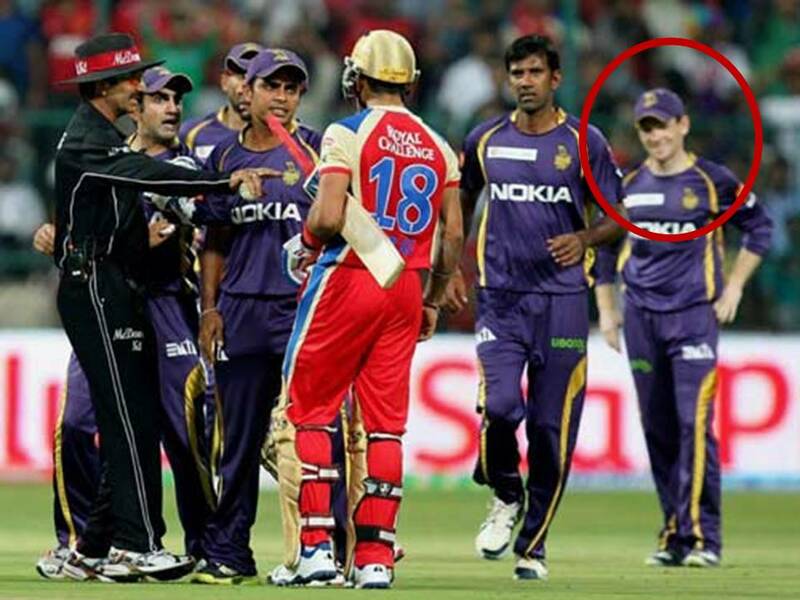 Alright lets put all fun and games aside and take a bit of a serious look at the IPL. Stephen Fleming, Darren Lehmann, John Wright, Alan Donald, Steve Rixon, Waqar Younis, Wasim Akram, Tom Moody, Jonty Rhodes, Anil Kumble. Those are prolific names. They have either been involved with or are involved with the franchises in the IPL. And they take their cricket damn seriously. The IPL provides them with a platform to enhance their coaching skills, which will come to good use when they take over international teams, and it provides the players the opportunity to learn from the best. All those men were world class cricketers who have tons of experience to pass on to players. One just had to see Allan Donald give the Pune Warriors a briefing during the strategic timeout in the game against CSK to understand how passionately involved with the game he was. The presence of Ricky Ponting, Jonthy Rhodes, Anil Kumble, and Sachin Tendulkar in the Mumbai dressing room would be an awe inspiring one for the likes of Ambati Rayudu and Dinesh Karthik and all those fringe players in the team. The amount they can learn by just listening to them is immense. No other platform will provide young international players like Kevin Cooper, Chris Morris, Steve Smith, Aaron Finch, and Mitchell Marsh the sort of exposure that the IPL does. The intensely competitive matches can only bring out the best in these players and constantly playing under pressure enhances their capabilities no end. The same can be said for the young Indian cricketers aspiring to play for their national team. Rayudu, Mayank Agarwal, Rahane, Manprit Juneja, Vinay Kumar, Shahbaz Nadeem are just some of the names of talented cricketers that are rubbing shoulders with international stars at the IPL. Undoubtedly they are learning and giving it their all to impress the right people to stake a claim at international cricket. Since the teams can play only 4 foreign players, all the international players, no matter how big, have to be at their best in every single game. The competition for places in the XI is extremely high, which makes these international cricketers give their best increasing the overall performance levels. Brendon McCullum, who is arguable one of the most explosive batsmen in T20 cricket is finding it difficult to break into KKR's XI because of the presence of Kallis and Morgan. CSK can play only 4 of M Hussey, Faf du Plessis, Dwayne Bravo, Albie Morkel, Chris Morris, Ben Laughlin, Dirk Nannes, Nuwan Kulasekara, Ben Hilfenhaus, Akila Danajaya. How do you leave any of them out? Besides a couple, all the rest are sure starters for their international teams! Have you seen the Catching? Even if every game is fixed, the catches can't be! There is no excuse for missing out on the absolutely magical catches that some of the players have pulled off in this IPL. There have been many with probably Pollard and Ponting standing out. Ponting more so because it was off the bowling of Harbhajan and watching the two celebrate together was unreal. The skills on display are just beautiful. IPL is cricket entertainment at its best. 76 matches are played every season and I reckon at least 50 of them are decided in the final over, out of which 20 or so off the final delivery. That is excitement to the core. Even if its fixed, it is one hell of a fix. It requires special talent to ensure that the match is played out in that manner. Whoever is scripting / fixing these games is a genius really for bringing out the best in all these cricketers from all around the world. It definitely keeps me at the edge of my seat. The best part about the IPL is that you don't really have to support any team, which for an ideal cricket fan makes watching the game even more fun as you can just purely enjoy the cricket! I had just as much fun watching Jadeja smash 16 off the final over to win a game for CSK, as I did while watching Allan Donald celebrate like a kid when Marsh and Dinda wrecked CSK's chase. It is just fun cricket. How can you not watch it? So what if there are no Pakistanis playing? So what if it doesn't test you the way test cricket does? So what if Dhoni has to win every time? Forget about these minor issues and don't miss the annual cricket fun fair I say. It is an absolutely magnificent extravaganza!